Here’s the second trailer of Hikayat Po and Lang by Cornetto. Here’s a sneak peek of what’s in store for you all. What is Po and what is Lang by the way?? Po is a short form for Pocong and Lang is short for Langsuir. Yahhh, for real. Ghost also got nama manja. Funny! 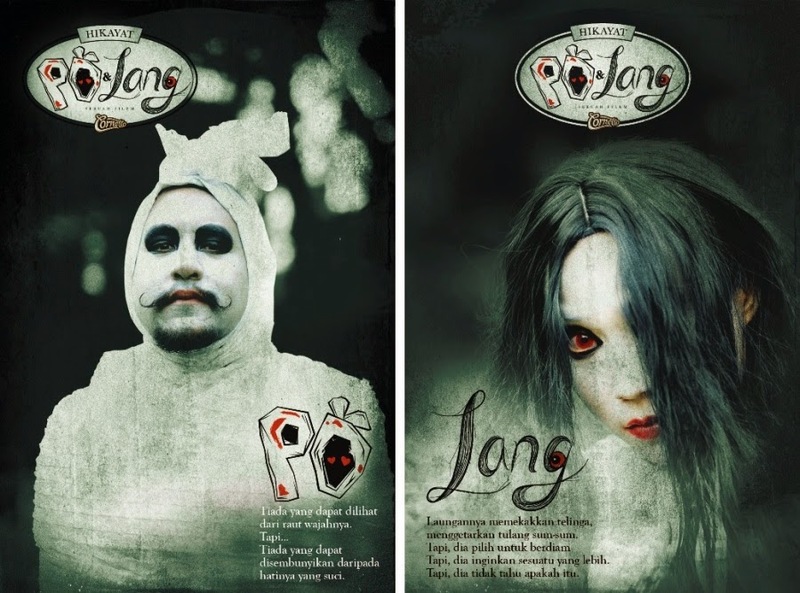 Langsuir and Pocong is among the most famous ghost in Malaysia that were always talked by Malaysians. From the begining of the story, Lang is a ghost who loves Cornetto ice cream. Po is a ghost from Kampung Cempuaka that falls in love with Lang. He starts to steal all the Cornetto ice cream especially to get Lang’s attention and in the final episode, Since the Cornetto ice cream is always being stolen so Uncle Cornetto felt angry and called a Bomoh to capture the all the ghost. The Bomoh claims that he has captured all the ghost in a bottle except Po. Suddenly, Po came to request to release all the ghost in the bottle and capture him instead. The Bomoh tried but couldn’t because he said that Po has a pure heart and he has fallen in love. After that Lang appeared out of nowhere. Started from that very moment Po and Lang shared their real feelings and all the ghost from Kampung Cempuaka enjoyed eating Cornetto ice cream. When I watch this. I had a craving for a Cornetto. Going to go get some Cornetto ice cream for myself after this. Hehehe..Just make sure that, before you start watching this, open your mind and think that this is a funny story because it is. Don't expect any horror action in this film as its humorously funny. Okehh? I have watch the film from the first episode and now it came to the end already. So, if you are interested to watch this Hikayat Po and Lang by Cornetto I am providing you with the link of the story down below. Here is the link for you from the first episode until the last episode. Hilary Duff make her comeback. Yeahhh!